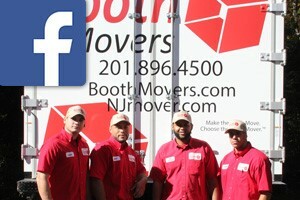 If you are looking for the most trusted name in New Jersey office movers, look no further than Booth Movers! Since 1945, our BBB-accredited company has been providing the highest-quality commercial relocation services to the Bergen County area and beyond. Whether you are relocating your business to a neighboring town or to another country, our ProMover-certified New Jersey office moving company can handle all of the details. As long-time members of the American Moving & Storage Association and the New Jersey Warehousemen & Movers Association, our commitment to professionalism and quality service shines through in every aspect of our New Jersey office moving services. Booth Movers is experienced in all areas of corporate relocation, and it is our first priority to minimize downtime and keep your move on budget and on schedule throughout the relocation process. Our New Jersey office moving company offers free on-site estimates, and we will work with you and your staff throughout the relocation to provide expert guidance and support during your transition. As an agent for Atlas Van Lines, Booth Movers is connected to a global network of moving and storage professionals that have the expertise to handle all the details of your commercial move. From small, local office moves to full-service corporate relocations, no job is too big or too small for our team of New Jersey office movers! There’s a reason our New Jersey office moving services stand out from the crowd, and it begins with our commitment to quality and exceptional customer care. Booth Movers offers local, long-distance, and international moving and storage solutions that will make your next office move an experience that exceeds expectation! Business Relocation – With thousands of successfully completed commercial moves, Booth Movers is the first choice in New Jersey office movers. Home Delivery – To keep your business on-track, our New Jersey office moving company offers dependable home delivery service to our commercial customers. Employee Relocation – Booth Movers will work closely with you and your employees to ensure their relocations are seamless from start to finish. Are you ready to learn more about how Booth Movers provides consistently stress-free office moving experiences? Just give us a call today, or fill out our simple online form to connect with a moving specialist that will help you set up a free, no-obligation estimate!